WHAT IS IT? 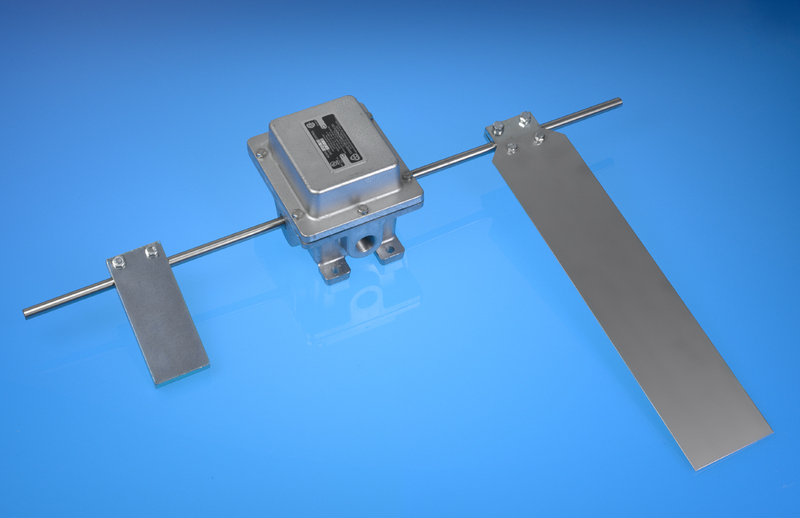 The Model FS is designed to provide indication of presence or absence of dry bulk material on a conveyor belt. Each unit is equipped with one or two output micro-switches which can provide a positive shut off. The output contacts of the Model FS can control up to two separate circuits, one for machinery shutdown and one for an alarm. WHY IS IT NECESSARY? The Model FS is versatile enough to be used in a variety of applications; it can provide proof that material is actually flowing from a chute onto a conveyor belt, or it can be used to actuate a misting system to reduce dust only when material is present. *Epoxy coating option: add $12.00 to price, add "E" to end of model number. Typical cardboard shipping carton measures 34" x 10" x 7" each. The housing is cast aluminum, with optional epoxy or polyester coatings available. These coatings will provide protection against corrosion that is equal or greater than cast iron. The unit can detect the presence or absence of dry bulk material on a conveyor belt. The unit is mounted on the conveyor by drilling (3) 13/32" diameter holes. General purpose (weatherproof) units have (1) 3/4" NPT conduit opening. The standard units have dry, unpowered SP/DT micro-switch(es) rated for 20A @ 120 VAC, 240 VAC, and 480 VAC. The DP/DT microswitch versions are rated for 15A @ 120 VAC, 240VAC; 3/4 HP at 125 VAC, 1-1/2 HP at 250 VAC. The paddle, counterweight, and cross shaft are all field adjustable for a variety of effects. The general-purpose units are rated NEMA Type 4/4X weatherproof and corrosion-resistant. Explosionproof units are rated NEMA Type 7/9 for dust ignitionproof and vapor explosion proof. The dual-rated "D" units are rated NEMA Type 4 weatherproof and NEMA Type 9 dust ignitionproof. The general-purpose controls are IP65 compliant. Most models are cULus Certified.